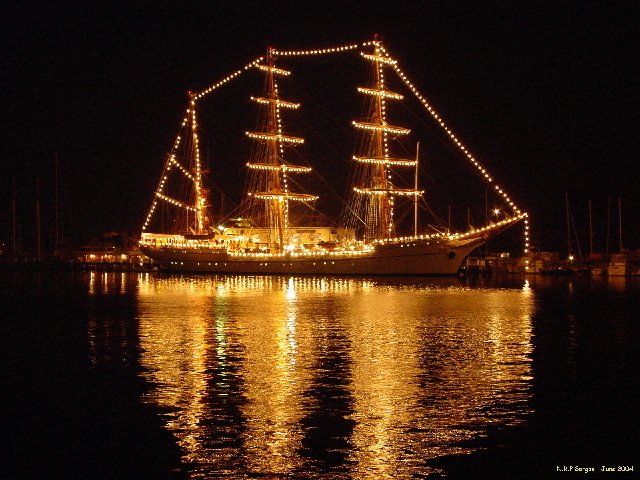 This nighttime photo was taken in June 2004	during the visit of the Tall Ships to Newport, Rhode Island. It shows the N.R.P.Sagres docked at Goat Island. The Sagres, a sister ship to the US Coast Guard's Eagle, is a training ship for the Portuguese Navy. Copyright 2004 - 2013 StacyHouse Designs.